This unique offerings is versatile, either pairs are up for sale, together or seperate. 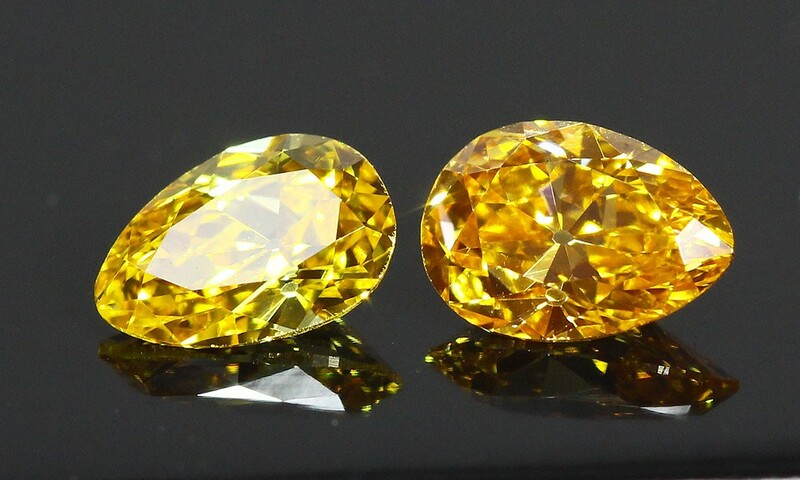 Old Mine Marquise Diamonds weighing a total weight of 1.22 carats, cut from rare natural orange-yellow material into a vintage style faceting design which reflects the bolder chunky light flashes that older cuts were famous for. 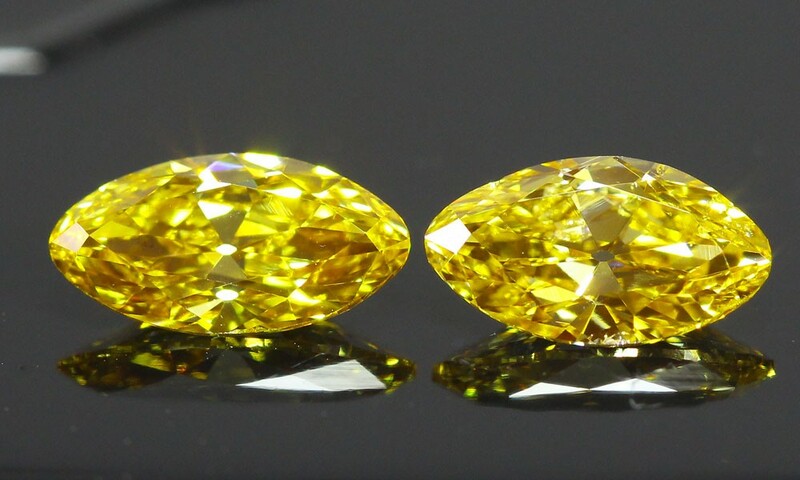 Same with the Old Mine Pears, weighing a total weight of 0.70 carats and were also cut from natural rare colored material into a vintage style faceting design reflecting the old look and charm of that period. Each marquise or pear cut consists of rounded tips which were the norm during those periods, smaller tables in conjunction with higher crowns and each poses the kozibe effect, a reflective spread of the open cutlet through the whole crown area of the Diamond. Such pairs will reflect light in a different manner than modern cuts will, they will emit larger bolder flashes which our vision find unique in present fancy colored diamond offerings. Our motto is to bring to market beautiful, unique and specialty cuts. Our Gem descriptions try to let you envision the beauty of the Gem and its attributes. We are aware that gemological information is important to our clients so we offer grading reports as a supplement only. We do not guarantee any of its gemological conclusions or grading. Dimensions: 7.83 x 4.46 x 2.69 mm. Dimensions: 8.18 x 4.30 x 2.69 mm. Dimensions: 5.66 x 4.07 x 2.54 mm. Dimensions: 5.54 x 3.71 x 2.38 mm. Total weight for the two pairs: 1.92 carats.